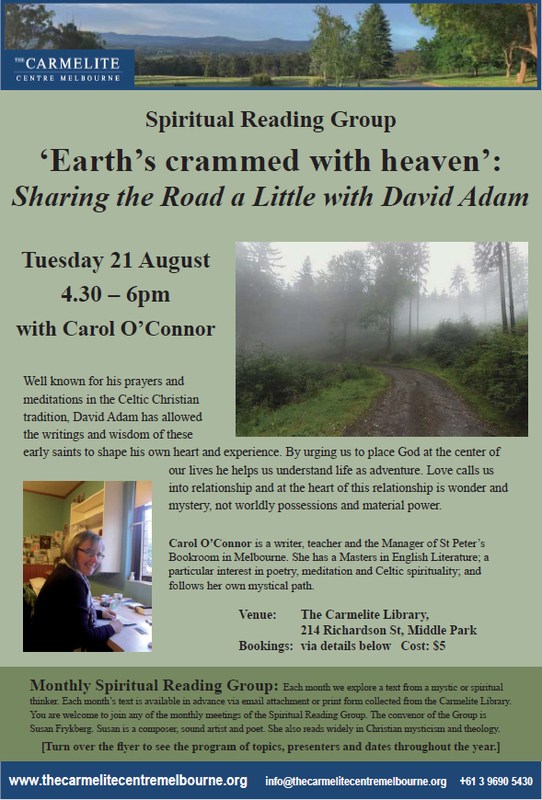 Well known for his prayers and meditations in the Celtic Christian tradition, David Adam has allowed the writings and wisdom of these early saints to shape his own heart and experience. By urging us to place God at the center of our lives he helps us understand life as adventure. Love calls us into relationship and at the heart of this relationship is wonder and mystery, not worldly possessions and material power. Please use the form below to book. Thank you. David Adam (born 1936) was born in Alnwick, Northumberland. When he left school at 15, he went to work underground in the coal mines for three years before training for the ministry at Kelham Theological College. He was vicar of Danby-Castleton-Commondale in North Yorkshire for over twenty years, where he began writing prayers in the Celtic pattern, and he later became Rector of Holy Island, Lindisfarne, where he ministered to thousands of pilgrims and other visitors. He was made a canon of York Minster in 1989. He is now retired and lives on the coast near Lindisfarne. Spiritual Reading Group: Please put these dates in your diary now. You are welcome to come along to any of these sessions, which are held in the Carmelite Library on the third Tuesday of each month February to November, starting at 4.30 pm. More details will be provided about each one closer to the event.